Following on from its introduction in Pokémon X & Y, Inverse Battles make a return. 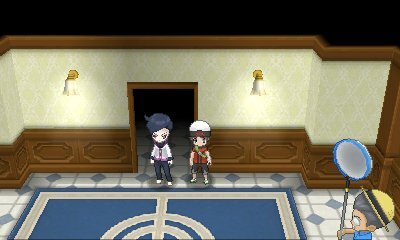 This time, there's a shop in Mauville City where you can find Inver who, once a day, will challenge you to Inverse Battles. These are single battles, but the battle rules are always contrary to standard. If a move is typically super effective on your Pokémon, it won't be very effective and vice versa, so you need to make sure to plan ahead if you are going to partake.